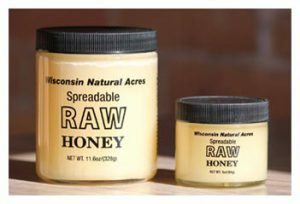 Wisconsin Natural Acres produces 100% natural, unfiltered raw honey, locally in rural Northeast Wisconsin. 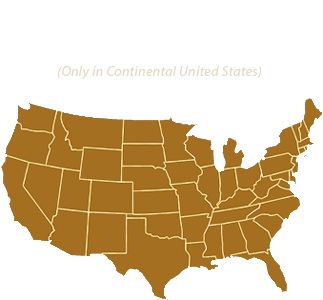 Our pure honey is never blended with imported honey as so many of the store brands are. We are passionate about caring for our honey bees and producing the world's best tasting, raw unfiltered honey. 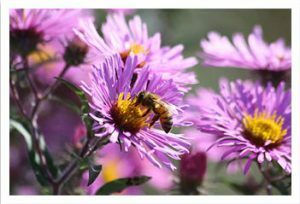 Our honey bees collect sweet and fragrant alfalfa, clover, basswood, and wildflower nectar, using it to produce the world-class honey we’ve become known for. We carefully harvest the raw honey and bottle it with no filtering or heating, preserving the natural antioxidants, enzymes, vitamins and minerals that provide the natural health benefits of honey. Our Select Premium Honey is a delicious and healthy alternative to sugar for sweetening your favorite beverages and recipes, in a convenient pourable liquid most people are used to seeing in stores. Our Spreadable Raw Honey has been described as “honey butter” or “crème honey” - a rich, delicious topper for toast, biscuits, bagels, pancakes or any of your favorite baked goods. This is not “creamed honey” which has been mechanically processed to a creamy consistency – it’s raw natural honey, gently bottled straight from the hive. Our Pure Beeswax is gently filtered to remove impurities while retaining its moisturizing and antioxidant properties. Natural beeswax has been used for thousands of years to nourish skin in natural lip balms, hand creams, salves and natural cosmetics. Our product is natural yellow beeswax, not white beeswax, which has been chemically bleached. 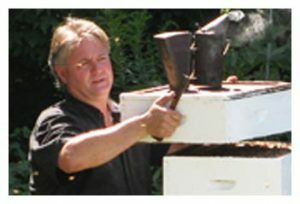 With more than 30 years of experience working with honey bees, including nearly 20 years working side-by-side with master beekeeper Warren Otto, Head Bee Wrangler Doug and company produce what is arguably the best tasting honey in the world. We invite you to try some today!